A Chinook helicopter carrying a squad of Navy Seals suddenly plummets to earth in Afghanistan. A car driven by FBI agents tailing a suspicious vehicle is mysteriously rendered immobile in San Francisco. The body of a Chinese agent is found floating miles from the Golden Gate Bridge after being fed to sharks. 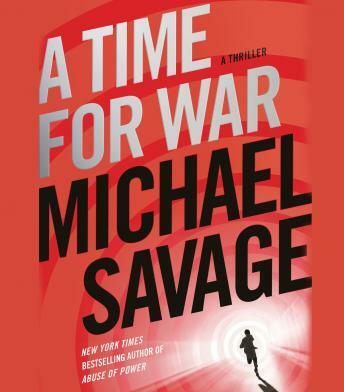 In A Time for War, the U.S. is under secret attack and only Jack Hatfield, a popular television host hounded from his position by left-wing forces in the media for speaking the truth, suspects the danger of this lethal conspiracy. With the help of Dover Griffith, an idealistic young woman staffer at the Office of Naval Intelligence, Hatfield pursues a trail leading to a billionaire American electronics entrepreneur who has sold out his own country with the help of officials at the highest level of the American government. As enemy operatives plan a two pronged attack that will disarm the American military and release a deadly toxin killing hundreds of thousands of civilians, Hatfield and Dover race to locate this new Ground Zero and save an unsuspecting county.